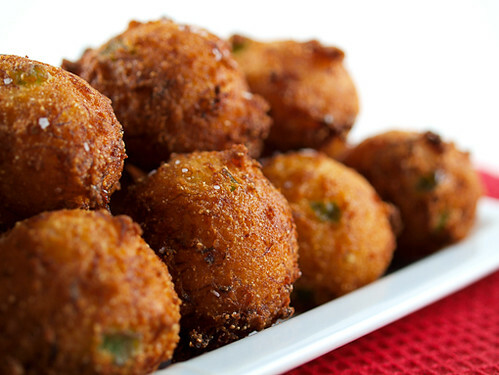 I mean, who does not like golden grown, deep fried balls of delicious cornbread? 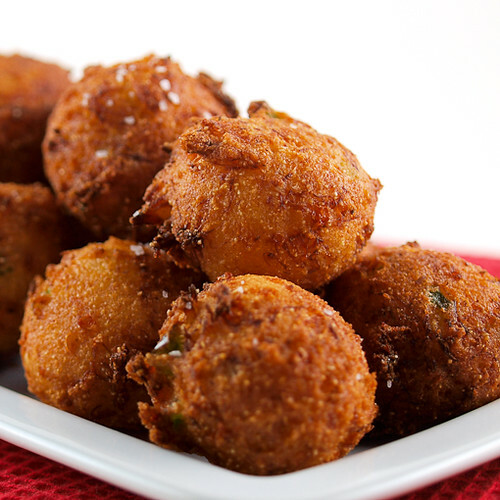 When I was growing up we had them with fried fish and shrimp dinners and they were the item I ate most greedily. 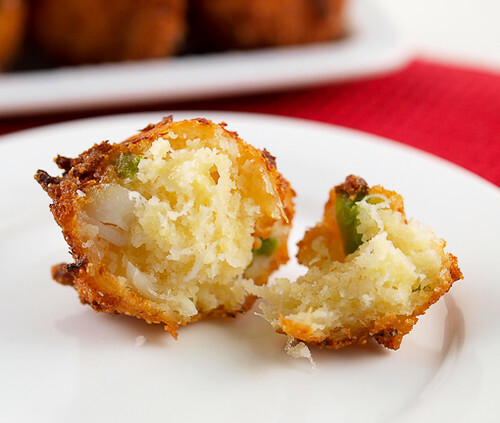 These days I make hushpuppies for all sorts of occasions and I have found they make an excellent appetizer, especially if I add a little seafood directly to the batter. 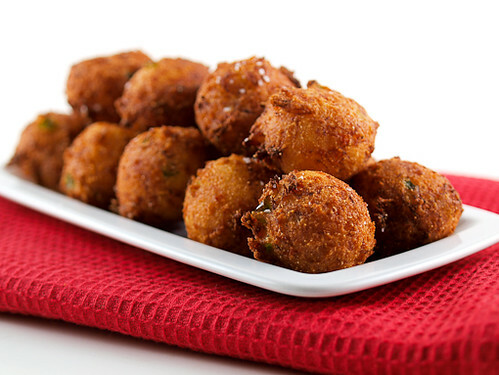 These hushpuppies are very rich. Lump crab meat is rich alone, but I added melted cream cheese to the batter to give the cornbread a little creaminess. I also added some sharp cheddar cheese, fresh garlic, and fresh jalapeno for extra bite. You do not need a dipping sauce for these, but if you decided to use one I recommend a good tartar sauce, or even some ranch dressing. Personally, I they are perfect just as they are fresh from the fryer. Heat 3-inches of oil in a pot, with at least a 3-inch air gap at the top, to 350F. 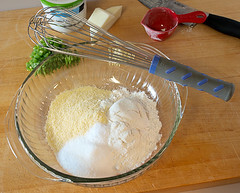 In a medium bowl whisk together the flour, cornmeal, baking powder, salt, and sugar until well combined. 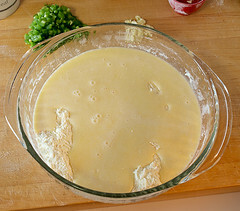 In a separate bowl whisk together the buttermilk, egg, butter, and cream cheese until well mixed. Add the wet ingredients to the dry and mix until most of the flour mixture is moistened. 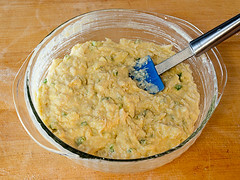 Add the crab, shredded cheese, jalapeno, and garlic and mix until well combined. Scoop the mixture by the rounded tablespoon into the hot oil. 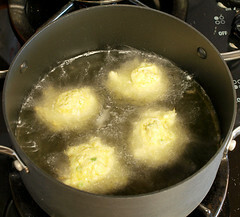 Cook, turning occasionally, until the hushpuppies are golden brown all over, about 4 minutes. Drain on a wire rack and cool slightly. Serve warm.